Dark blue worsted wool short jacket with red satin lapels. Double breasted, silver Royal New Zealand Artillery buttons. 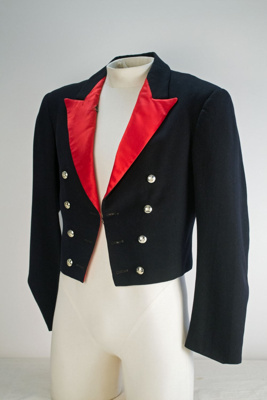 Officer's Mess Dress Uniform.